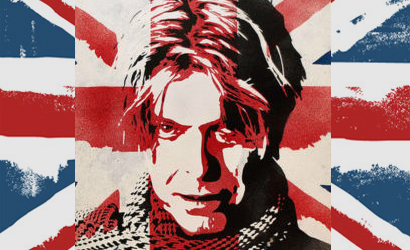 Home › Theology › Who’s the ‘Us’ David Bowie wants Scotland to stay with? Today’s guest post is by the Rev. Julian Mann. Julian is vicar of the Parish Church of the Ascension, Oughtibridge, South Yorkshire and also blogs at Cranmer’s Curate. David Bowie’s political intervention in the Scottish independence debate at the Brit pop music awards – ‘Scotland stay with us’ – raises a very important question of national definition. What is the uniting ethos, the common political, moral and social outlook, which he believes ‘Scotland’ shares with ‘us’ in the other two nations and one province of the current United Kingdom? In an era of political nonchalance amongst young people, exemplified by the attitude of the Arctic Monkeys’ lead singer, Alex Turner, who refused to comment on Mr Bowie’s statement when asked by a BBC journalist, the 67-year-old pop star’s conviction about the integrity of the UK was refreshingly counter-cultural. One might even dare to describe his intervention at the Brits as constructively rebellious, certainly more so than Mr Turner’s speech in praise of Rock n’ Roll. But very arguably, having publicly urged those entitled to participate in September’s referendum to vote ‘no’ to Scottish independence, Mr Bowie has a moral duty to explain what he thinks is the ethos uniting Scotland to the the rest of the UK. Had there been a referendum in Scotland just after the Act of Union in 1707 – say a year later in 1708 – it would not have been difficult to identify a coherent worldview that prominent opinion formers in both Scotland and England at that time wanted to see prevail. It was the Protestant Christian faith as distinct from Roman Catholicism. Political, religious and cultural leaders in both nations wanted to create a robustly Protestant entity with a Church by law established in each headed by a shared Monarch. And they got their way without a referendum but with an astonishing level of consensus. Christian ideas would have been at the forefront of the debate in 1708. The early 18th century equivalent of Mr Bowie would not have been quoting from Japanese mythology, as did his speech via the model Kate Moss accepting his Brit award for the best male solo artist, albeit referring to the jumpsuit she was wearing. In explaining the philosophical rationale for the Act of Union, Mr Bowie would have been quoting from the Bible. At the forefront of the referendum debate in 1708 would have been questions about the supreme authority of Holy scripture, the role of the Church in determining what a Christian person should believe and practise, and the saving nature of Jesus Christ’s death on the Cross as celebrated at the Lord’s Supper. For Protestants at that time, the once-and-for-all character of Christ’s death was supremely important. They argued that Christ’s achievement on the Cross was unrepeatable. He made there a ‘full, perfect, and sufficient sacrifice, oblation and satisfaction for the sins of the whole world’, to quote from the Church of England’s evangelical 1662 Book of Common Prayer. The almost complete absence of Christianity from the current debate would be mystifying to Mr Bowie’s equivalent in 1708. But its absence now is the reason why the spiritual, moral and cultural definition of his ‘us’ calls for urgent clarification. ‹ Is the ongoing rejection of our Christian heritage resulting in a fairer, better society? What does superstitious nonsense have to do with it? David Bowie is entitled to an opinion, just like you? Oh of course, he’s a morally bankrupt atheist. His opinion doesn’t count. Clearly Revd Mann has not picked up a history book in a long time. Taxation, access to the wealth of England’s growing Empire and her navy, access to Scotland’s labour market etc. were what fostered greater political union. If that was the case, why wait a hundred years – there had been a shared monarch since 1603. And come, come Revd Mann, if ‘both nations wanted to create a robustly Protestant entity with a Church by law established etc…’ why are they two very distinct churches: one Presbyterian and one Episcopalian? Revd Mann appears to dwell in a little fantasy world where Christianity is the bedrock of our society and that it and it alone has driven and brought about all the social change of which Revd Mann approves. No mention is made in the above of the role of economics and politics and the deafening silence is of course the lack of comment on the Scottish Enlightenment. In many ways it is this (both political and economic e.g. Hume and Adam Smith) that laid the foundations for secular humanism and the change in British economics from mercantilism to modern capitalism. In particular there was a greater emphasis on social justice and the rights of the individual (something lacking in much Christian thinking until that time and obviously something Christianity borrowed from rational humanism – if Christianity is a social constant, why was social reform necessary in the 18th and 19th century? – clearly something informed Christianity and not vice versa…). In my academic research I have interviewed many Christians (and believers of other creeds) and I am often struck by the fact so many are pious narcissists; even their fervour for sharing the Gospel is often a thinly disguised means of self-validation. The above has a flavour of this self-absorption: an off the cuff comment by an aging pop-star becomes a means for Mann of sharing his ill considered thoughts on Scottish union (or at least revealing his considerable ignorance of the topic!). It tells us little of the actual circumstances of the union of Scotland and England – and even less about the contemporary debate concerning devolution. As for Revd Mann’s commandment that ‘Mr Bowie has a moral duty to explain what he thinks is the ethos uniting Scotland to the rest of the UK.’ I will let others ponder the arrogance of this statement – not to mention its sheer silliness. Why is this a ‘moral’ issue? In reply to Mr Underwood’s objection about the purpose of this article, it aims to explore the question, raised by David Bowie at Brits, as to what unites the United Kingdom and that is surely very pertinent to this debate, . Re your point about the shared monarchy, it was very important to the framers of the Act of Union that England and Scotland had a united monarchy with a Protestant succession. Previously England and Scotland had been separate kingdoms albeit with a shared monarch. Also, Christianity and honourable commerce are not mutually exclusive. In fact, I would normally charge for an article of this nature but given that this blog does not appear to receive advertising revenue, I have not in this case. Thank you Mr Underwood – God & Politics in the UK published the piece. If this was a site that accepted advertising, then it would have been invoiced for it.